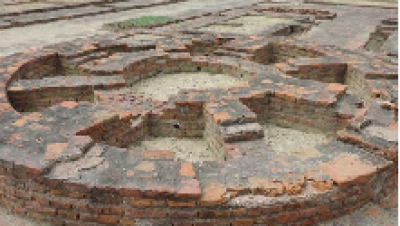 This is an ancient site of Harappan culture and is being maintained by the Archaeological Survey of India. A tourist complex is also coming up shortly. This site is located on Ludhiana-Chandigarh Road and is in Khamano block of the District. 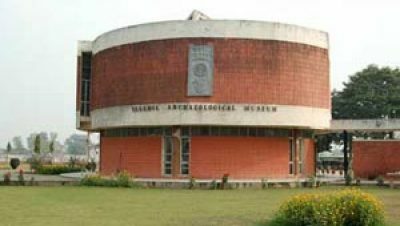 The present building of the Sanghol Museum was inaugurated on April 10, 1990 as a unit of the Department of Cultural Affairs, Archaeology and Museums of the Government of Punjab.Excavations at Sanghol yielded archaeological treasures of great significance indicating a long history of the cultural heritage of Punjab. 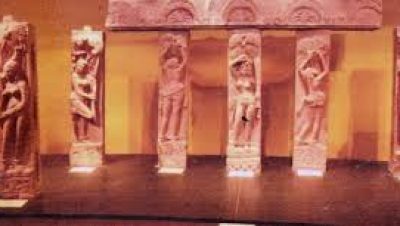 These treasures needed to be preserved and displayed at a place for public view and appreciation. With this end in view, the Sanghol Museum was set up by the Government, not only to preserve Punjab’ s Cultural treasures, but also to involve the public in the appreciation of the continuous cultural linkage that the land has maintained from the early ancient times and has witnessed large scale movements and amalgamation of people and their culture. The District has Sirhind Junction Railway Station on the Delhi-Amritsar section. This junction links the country with the Ropar and Nangal Dam. On the Sirhind-Nangal railway line, there is a railway station at Fatehgarh Sahib. Morinda is also nearest Railway Station. By road Fatehgarh Sahib is 250 Kms from National Capital Delhi. The National Highway No.1 (Sher Shah Suri Marg) passes through it at Sirhind and Mandi Gobindgarh situated in the district. All buses traversing the Delhi-Amritsar section halt here. For those wishing to visit Fatehgarh Sahib after landing at the Delhi Airport, the Indo-Canadian Bus service runs regular Delux bus services from the Airport to Amritsar and these buses halt at Sirhind and Mandi Gobindgarh. From Sirhind one can go to Sanghol by Bus/Taxi. The route is to take Bus/Taxi from Ludhina or Chandigarh.